"Physical Therapy Services You Can Depend On"
We are your complete rehabilitative therapy in Montvale of Bergen County, NJ. The therapists at Summit Physical Therapy are committed to treating you with the latest and most effective exercises and procedures. We provide for physical therapy treatment services to the musculoskeletal system. Injuries to bones (fractures), joints (dislocation), muscles, tendons and/or ligaments. Some musculoskeletal injuries present with pain and inflammation to the affected area of the body. It is common to treat conditions of osteoarthritis, tendonitis and bursitis with physical therapy intervention. 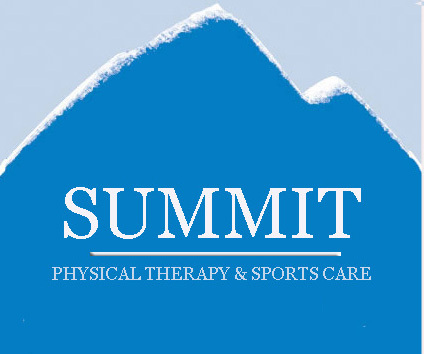 Summit Physical Therapy & Sports Care actively works to reduce pain and inflammation of musculoskeletal conditions. Back and neck injuries occur everyday due to slip and falls, MVA, and sports related activity. At Summit Physical Therapy & Sports Care we emphasize core stability to retrain muscles of the back and neck. We can help you recover quickly from conditions like degenerative disc disease, bulging discs, herniated discs, and pinched nerves. We also look at preventative measures to educate individuals who may have postural dysfunctions. Athletes on all levels pride themselves on their ability to perform at a higher level. Summit Physical Therapy & Sports Care understands the need of an athlete to recover from an injury with a quick return back to sport. As such, rehab is usually more dynamic and sports specific. When the athlete is able, a more advanced approach is taken towards recovery because goals are different than that of the everyday individual. Put your trust in a team of therapists with over 30 years combined experience. When a condition requires surgery to correct a structurally damaged body part, we work hard to speed up the recovery! Working with your physician to determine necessary protocols for your procedure, we can take you step by step through the recovery process. We understand your concerns and will establish realistic goals with you at the time of your evaluation(s). Common surgical procedures we treat are ACL reconstruction, meniscus tears, rotator cuff tears, joint replacements, and spinal decompression. Summit Physical Therapy & Sports Care provides comprehensive treatment for wrist and hand conditions. We work with individuals to restore function lost by fractures, carpal tunnel syndrome, sprains, tendonitis, and more. Restoration and recovery from an injury to the wrist/hand are often successful with physical therapy treatment.